I have been amazed by the array of recycled glass objects (vases, pitchers, wall art, ornaments, home accessories, cheese plates, sculptures, lighting, even jewelry) that look like beautiful pieces of art. Sometimes the new objects retain the character of the original glass bottles, while other times, the glass has been melted down to reveal completely new forms. 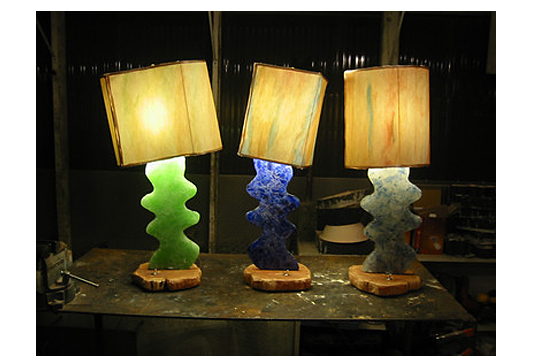 These handcrafted works of art add a touch of whimsy and a shimmer of light to any decor. Tumbled recycled glass can also be used out of doors in fire-pits, fountains, fish ponds, pathways and as colorful mulch! Read my earlier post here about the many uses in the landscape.